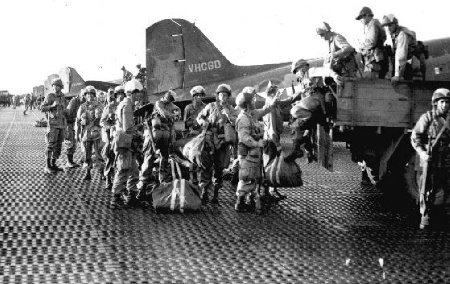 Photographs of Army Paratroopers landing on an enemy airfield. 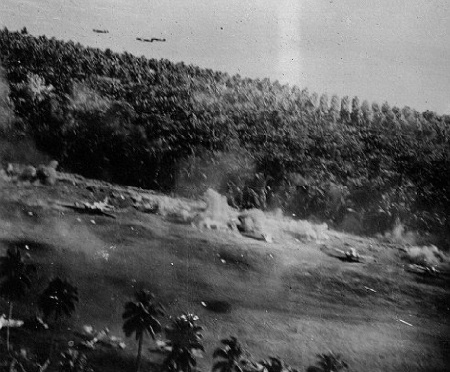 Taken by the Army Signal Corps. From the personal scrapbooks of Lt. Colonel O. Howard Davidsmeyer, Sr. 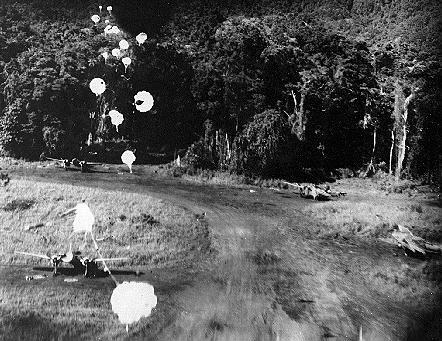 Comment from site visitor John W. MacDonald (and WWII POW): "The first picture is of paratroopers; I believe the remaining four show dropping of "para-frag" bombs. 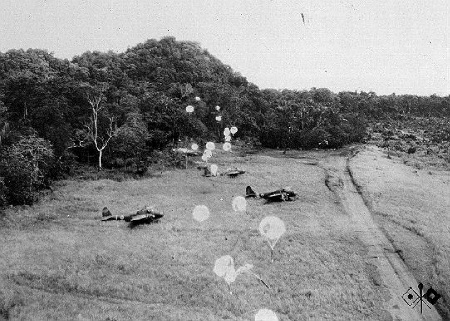 These are bombs fitted with small parachutes to retard them, so they can be dropped from very low level without resulting in damage to the bombers."